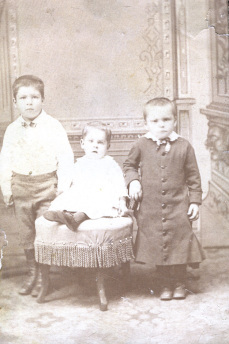 Edward, William, and James McKeever, the orphaned nephews of Reverend Edward McKeever and the first students of St. Mary’s School. Image/Text Courtesy of the Sisters of Charity of Seton Hill Archives. The St. Mary’s students swim and canoe in the Lake at Seton Hill, 1915. Image Courtesy of the Sisters of Charity of Seton Hill Archives. Baseball Team of St. Mary’s School for Boys, Greensburg, 1911. L-R: Thomas Nilan, Jack Daily, Alan Mooney, Paul Sheetz, Gerald O’Brien, Victor Ruffner, John Seibert, Edward Barry and Francis Lawson. 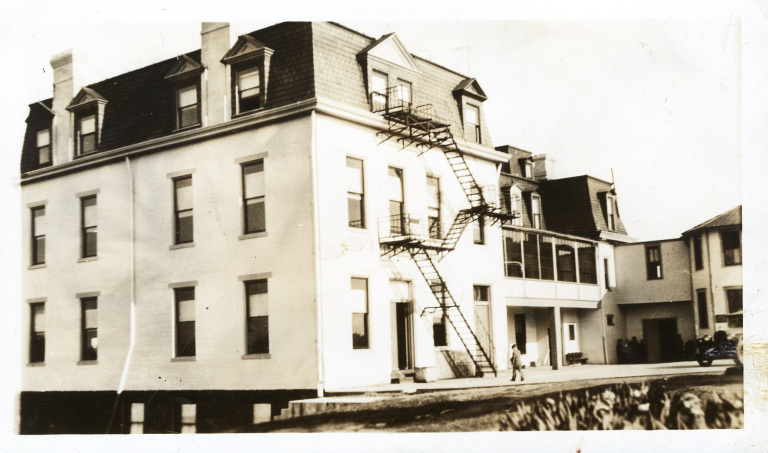 Image Courtesy of the Sisters of Charity of Seton Hill Archives. 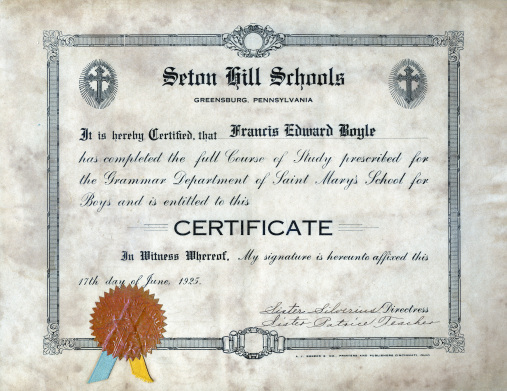 Grammar Certificate from St. Mary’s School for Boys, Francis Edward Boyle, 1925. Image Courtesy of the Sisters of Charity of Seton Hill Archives. 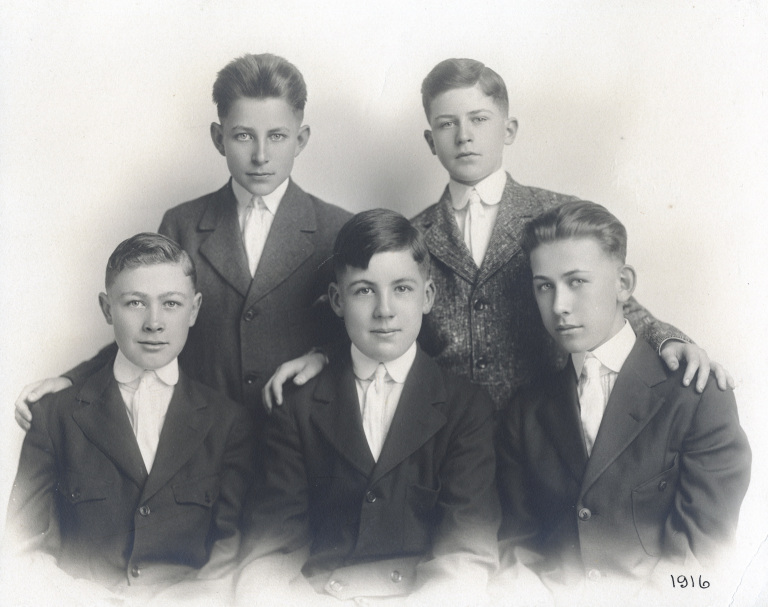 St. Mary’s School for Boys, Class of 1916, Top: Paul G. Felix, Raymond Maley, Lower: McK. Carmichael, T.P. Jones, Theodore Raab. Image Courtesy of the Sisters of Charity of Seton Hill Archives. September: The glory of Summer, with her wonderfully hot days and perfectly peaceful nights, beginning to wane. Fall’s cool embrace approaching. It means new clothes and shoes, books, and reuniting with friends. Eager minds (or maybe not so eager) are heading back to school! The Sisters of Charity of Seton Hill have a long history of educating the youth of western Pennsylvania. 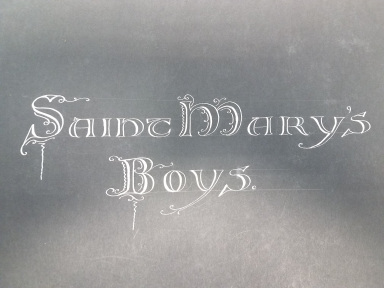 One such renowned institution was St. Mary’s School for Boys (1881-1927). In late 1881, Edward, William, and James McKeever, the three recently orphaned nephews of Reverend Edward M. McKeever, were brought to St. Mary’s Convent in Blairsville, Pennsylvania. Reverend McKeever was pastor in the community and sought aid from the Sisters for the boys, all under the age of five. What else would they do but establish a boarding school for boys? In its first years in Blairsville, the school was known as St. Mary’s Seminary. Sister Baptista McGivern served as “Angel” of the school in the 1880s. * Sister Baptista wrote of those years in her memoir, “when I recall the little chaps who left comfort and beautiful homes to come to our Mother Hubbard Domicile, I marvel they could have been as happy as they were.” For a time, the young children attended parochial school due to few teachers and lack of adequate educational space. The seminary remained in Blairsville until 1889 when the growing student body and completion of the new motherhouse in Greensburg, Pennsylvania spurred change. Paired alongside the equally successful St. Joseph’s Academy for Girls, St. Mary’s Seminary would endeavor to “give small boys advantage of moral development and mental culture consistent with their age and capacity” (1910-11). Catholics and non-Catholics alike were accepted into the school. In 1910, tuition and residence cost $250, plus additional fees for use of the library and infirmary. Courses of study included Christian Doctrine, Bible History, Penmanship, Voice Training, Composition, History, Arithmetic, Literature, Geography, Drawing, and Latin. Physical education was also a key element of life at St. Mary’s. The boys regularly played baseball and swam in the lake on the property. 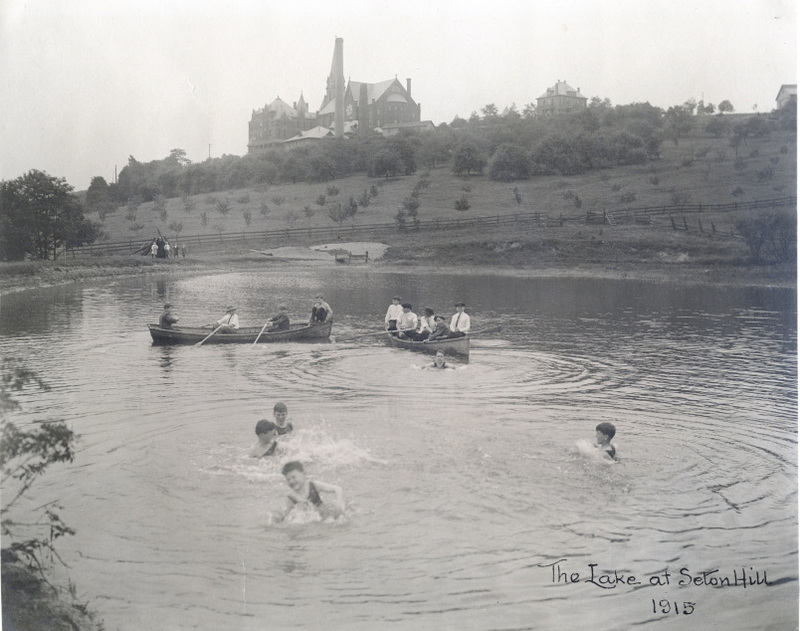 The St. Mary’s students swim and canoe in the Lake at Seton Hill, 1915. Image Courtesy of the Sisters of Charity of Seton Hill Archives. 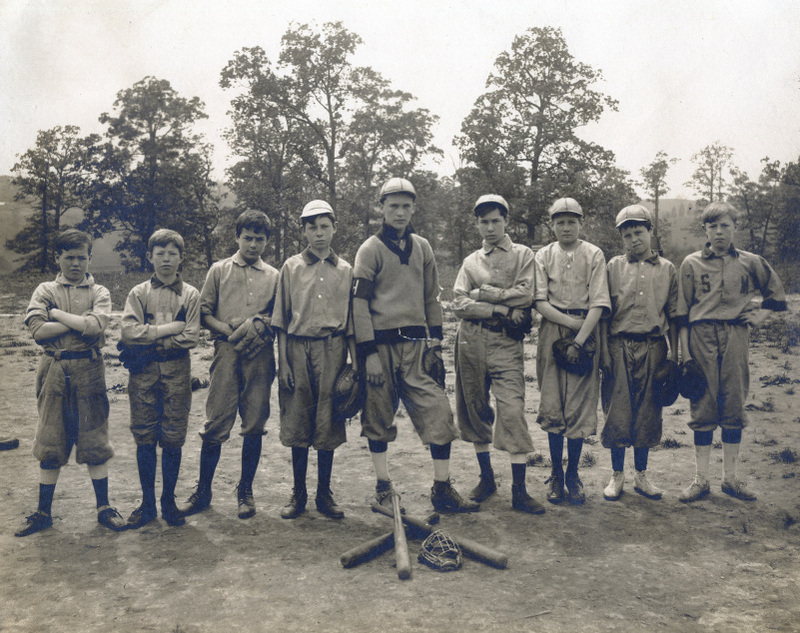 Baseball Team of St. Mary’s School for Boys, Greensburg, 1911. L-R: Thomas Nilan, Jack Daily, Alan Mooney, Paul Sheetz, Gerald O’Brien, Victor Ruffner, John Seibert, Edward Barry and Francis Lawson. Image Courtesy of the Sisters of Charity of Seton Hill Archives. By 1922, the school became known as St. Mary’s Preparatory School for Boys and it primarily hosted young men under the age of 14. Base tuition had gone up to $400 per year. The course work was vigorous and the General Rules were set by the Sisters. One such rule was that “the objectionable “Comic Supplements” of the newspapers are absolutely forbidden in the school.” Castor oil would be given as punishment for breaking the rules, for excessive rowdiness, or other misbehaviors. However, the alumni of St. Mary’s recalled great moments of fun during their time at school. One alumni told the story of Sister Marie Vincent’s veiled glee after he hit his first and only homerun on the baseball field. Unfortunately, the homerun also broke a school window! Sister Marie Vincent was only too proud of her young student. The boys had formed a baseball team called St. Mary’s Panthers. “Trixie is a little dog. He certainly is the berries. If he could see the boys. 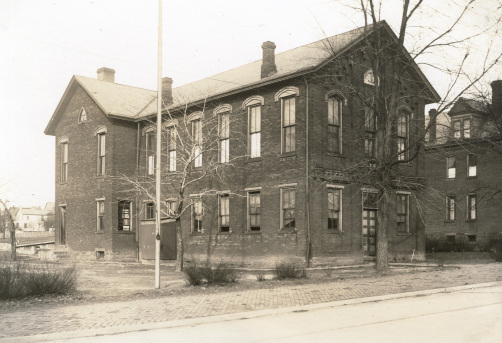 The Sisters of Charity made the difficult decision to close St. Mary’s School for Boys in 1927. The building was needed for a Home Economics Department for the expanding Seton Hill College. Nevertheless, the great influence of St. Mary’s and her teachers lived on in the happy memories of its alumni. The boys of Saint Mary’s grew into fine young men pursuing careers in the Catholic Church, medicine, law, the military, government, etc. Many of the alumni kept in touch with their “dear Sisters” over the years. Monsignor Stephen C. Helzsouer, Dr. James Cunningham, Attorney Norman Wynard, Judge James B. Drew of the Supreme Court, and the Reverend Thomas Lappan. ** The Sisters of Charity termed school prefects as “Angels,” referring to Mother Elizabeth Ann Seton’s call to serve as Guardian Angels to children in the community’s care.